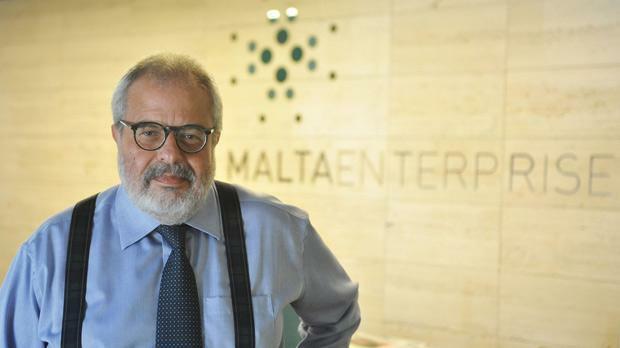 Economist Mario Vella is set to become Central Bank governor after being nominated to the post by Prime Minister Joseph Muscat. Dr Muscat has asked the President to appoint Dr Vella to the role as of Friday, July 1. Dr Vella, who served as Labour Party president for a while in the mid-nineties, studied at the universities of Malta, London (London School of Economics and Political Science) and Berlin (Humboldt). His academic career has focused on economic development and foreign direct investment. He previously served as executive chairman of Malta Enterprise, director of foreign direct investment services at Grant Thornton and CEO at the Malta Development Corporation. In 2005, he was visiting lecturer at the Graduate School of Economics and International relations of the Università Cattolica in Milan and the Università di Urbino. He was also visiting professor at Edinburgh Napier University between 2007 and 2012. Dr Vella has been a visiting senior lecturer at the University of Malta for many years. He was awarded Italy's Ordine al Merito earlier this year. He will succeed Josef Bonnici to the post. Prof Bonnici assumed the post after serving on the European Court of Auditors. The Prime Minister thanked Prof. Bonnici for his valuable contribution during his term at the helm of the Central Bank, saying he had done an excellent job. He hoped Prof. Bonnici would be able to continue serving his country in future. Dr Vella's appointment comes after the man previously considered the front-runner for the post, economist Alfred Mifsud, withdrew his name from consideration following allegations of impropriety. In a statement, the Nationalist Party said Dr Vella's nomination should be scrutinised by a Parliamentary committee to ascertain that he had the necessary qualifications in the financial and monetary sectors and the right experience to manage such a crucial institution. It said that instead of placing the national interest first in the appointment, the Prime Minister opted to be partisan. The position, it said, required the necessary independence from the government of the day so that, if need be, the person appointed would criticise the government to encourage certain changes and to ensure that there were the necessary checks and balances for the country's economic and fiscal economy. The Opposition had been saying for quite some time that the appointment deserved parliamentary consensus or at least a hearing in front of a Parliamentary committee but the government ignored all this. It said it was convinced that there could be agreement on a person who enjoyed the confidence of both sides, such as when there was Rene Saliba who spent a long time at the Central Bank in important position sand who this government appointed as chairman of the Fiscal Council, a position supported by the Opposition. In a reply, the Labour Party said it was quite incredible that the the Nationalist Party was calling the nomination "partisan" based simply on the fact that Dr Vella was a member of the administration of the Labour Party in the nineties. "One just needs to remind the Opposition that it appointed a former cabinet minister as the current governor. Faced with that fact, today's Prime Minister never stooped so low to denigrate Professor Josef Bonnici's nomination. "Actually, Professor Bonnici showed how one can rise above partisan politics and it was clear that Dr Vella would follow suit." Referring to the request to have the nominee heard by Parliament, the PL asked why the Opposition did not table it before since it was known to all that the post of governor would become vacant on June 30. Instead of a half-baked proposal, the government had already announced it iswas preparing comprehensive legislation providing for Parliamentary hearings for regulators and other office holders, something the previous administration of which the Leader of the Opposition formed part failed to do for 25 years, the PL said.